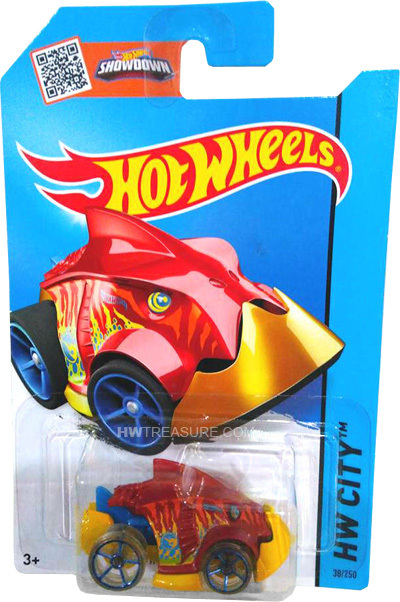 38/250 is part of the HW City series and the 2015 Treasure Hunt set. 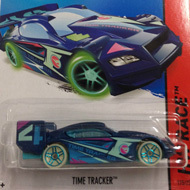 The red car features red, yellow, and aqua blue graphics, an aqua blue Hot Wheels logo, and the low production symbol. 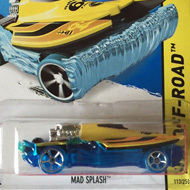 It has a blue tail fin, yellow & aqua blue eyes, a yellow base, and translucent Open-Hole 5-spoke wheels with blue rims. The Piranha made its debut in the 2010 Color Shifters Creatures series. This unique vehicle has a fish-like appearance that includes fins, eyes, and a front end that looks like a mouth.